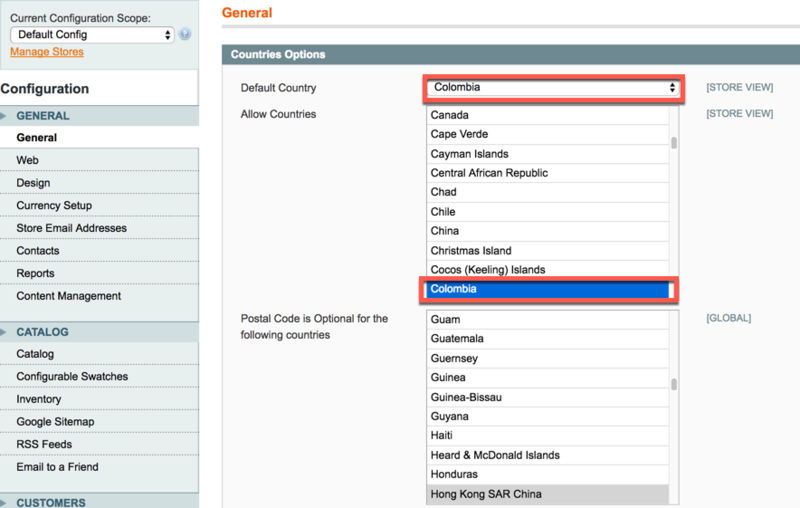 In Countries Options select Colombia/Ecuador according to the country in which you operate your business. Make sure you save the configuration after the changes. In Allowed Currencies select Colombian Peso (for colombian merchants) or US Dollar (for ecuadorian merchants). 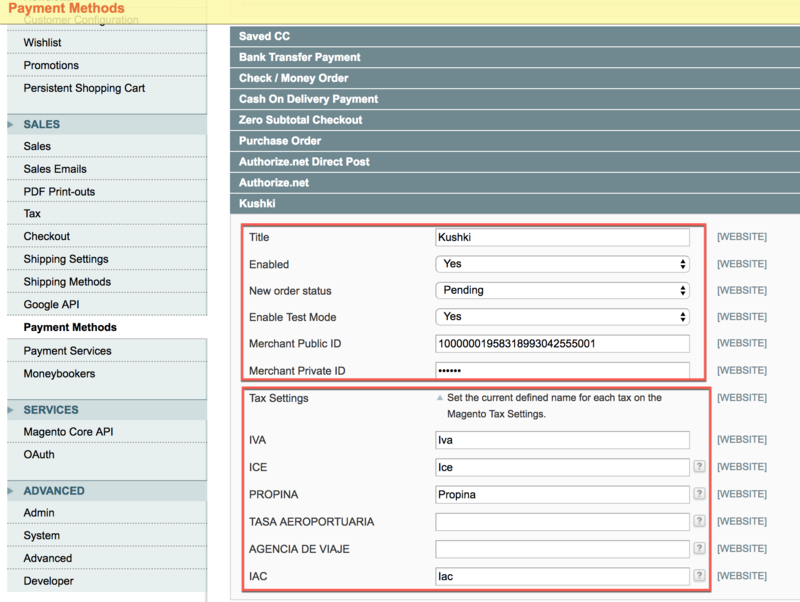 Depending on the option selected in step 1, select the same in Default Display Currency y Base Currency. Make sure to save the configuration after the changes. Select Add New and create a new Tax Class. *Don’t forget to Save the changes. Select Add New Tax Rate. In Tax Identifier put the name of the new tax to create. In Country select the country in which you will aply your nex tax. In Rate Percent put the tax rate (ex. Iva of 12% put 12). Make sure you save the changes to continue. Select Add New Tax Rule. In Name put the name of the tax. In Customer Tax Class select the customer categories to which the tax will apply. 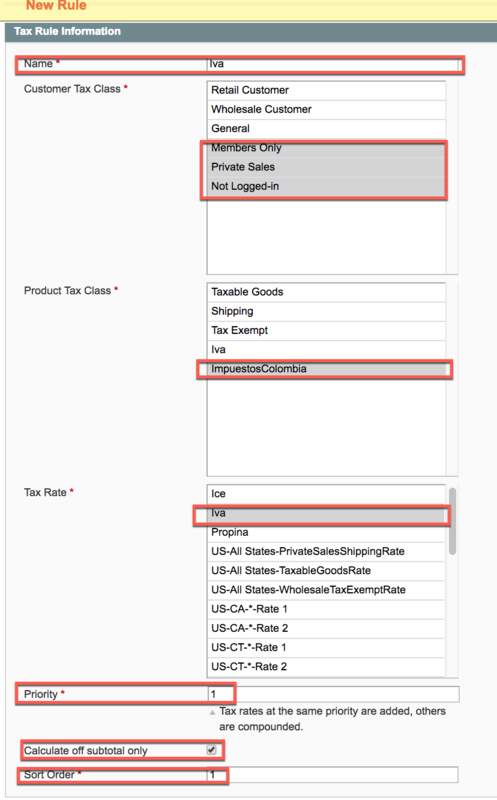 In Product Tax Class select the Tax Class you just create. In Tax Rate select the one already created from the combo box. In Calculate off subtotal only click the check box. In Sort Order put 1. Select the product to which apply the new tax and click on it. Go to _Product Information/Prices in the left menu. In Tax Class select the tax class recently created. 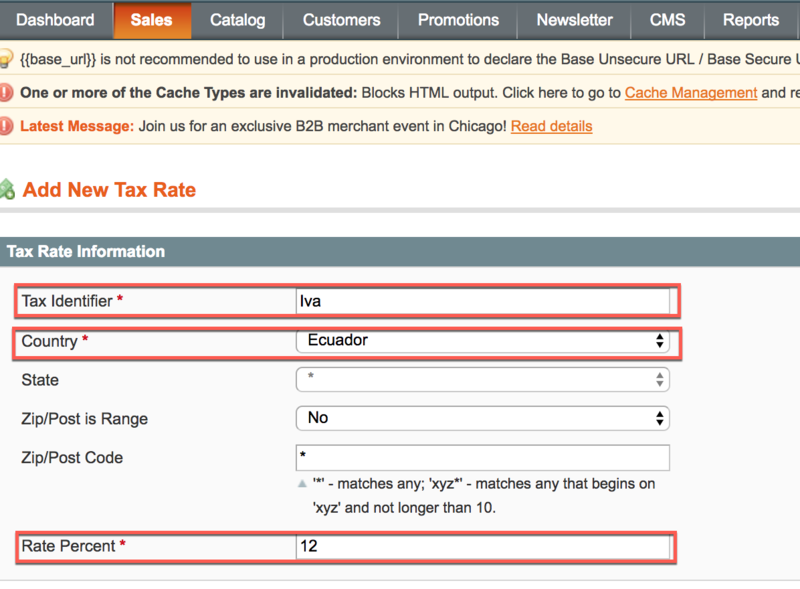 With this, customize taxes are configured for Magento products. Title: that shows when the customer choose this payment method. 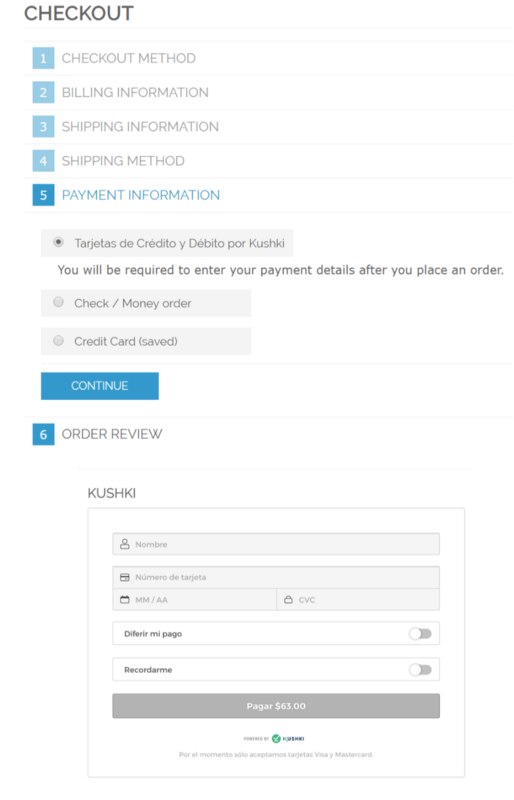 Enabled: Enable / Disable Kushki payment method. New order status: Status that the order gets after applying the payment method. Enable Test Mode: Enable Kushki Test Mode when making tests before going to production. Merchant Public ID: obtained by the merchant in Kushki BackOffice. Merchant Private ID: obtained by the merchant in Kushki BackOffice. The following section refers to the mapping of Magento Taxes. Input the name of the new taxes created that correspond to Kushki Taxes available according to the country in which you operate with Kushki. Make sure you save the changes before continue.